Pamela Fergus, some of her students in PSYC 212, and Nutrition Services staff pose for photos at J.J. Hill Montessori in St. Paul on Oct. 13, 2017. The class presented a check for $10,000 to the school to pay off more than a year’s worth of student lunch debt. Photo by Kathryn Ganfield. 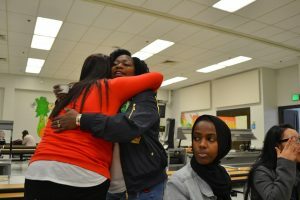 It was hugs all around as Metro State students met the family of Philando Castile on Friday, Oct. 13 at the elementary school where Castile worked as a nutrition supervisor. Castile was shot and killed July 6, 2016 by a St. Anthony police officer during a traffic stop. 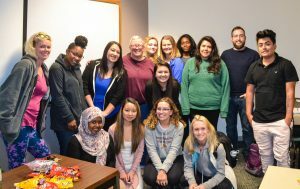 The PSYC 212 students crafted an online fundraising effort at the start of fall semester. They set an initial goal of $5,000 to cover J.J. Hill’s unpaid lunch accounts. 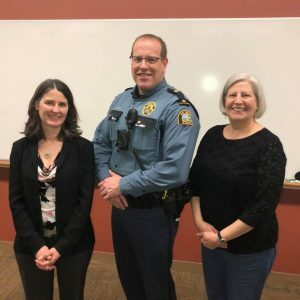 They shared and promoted the Philando Feeds the Children campaign on social media platforms. Within days, donations far surpassed their goal. To date, their efforts have raised over $94,000—enough to pay off the lunch debts for the entire St. Paul Public Schools system. 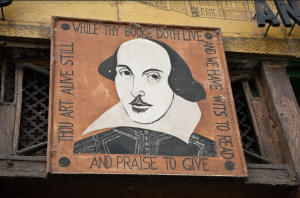 The first school to have its lunch debts paid off? J.J. Hill, of course. 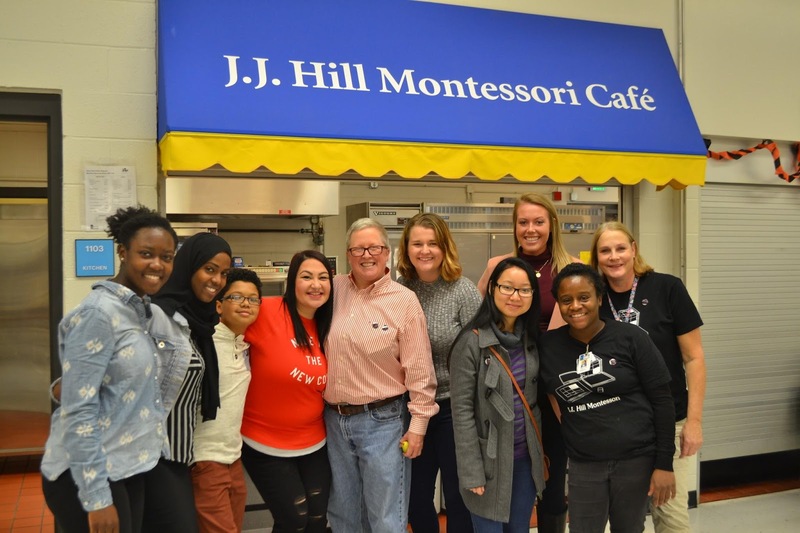 “We are here today because of Miss Pamela Fergus and her students at Metro State… She was inspired and that’s why she developed the ‘Philando Feeds the Children’ campaign,” said Valerie Castile, Philando’s mother, to elementary students gathered in the J.J. Hill cafeteria on Oct. 13. “We had an idea that we could do Mr. Phil’s job, and get you fed every day. We are not going to stop. We are going to keep raising money,” Fergus told the children. Then she and Valerie Castile presented a $10,000 check to the school. The funds are enough to erase at least two years worth of debt. “This [campaign] is definitely something that resonated with me. Mr. Phil loved children and J.J. Hill. He was very passionate about child nutrition,” said Stacy Koppen, director of Nutrition Services for St. Paul Public Schools, as she received the check. Over their meal, Fergus and her students talked about the meaning and impact of their fundraising campaign. “It’s gone so successfully. We kept making goals and kept exceeding them,” said Rita Koina, a Psychology major. They discussed how schools can spend more money in the classroom if they don’t have to worry about the cafeteria. Kids learn better on full stomachs and free of the stigma of unpaid debts, they said. And that’s what motivates them to keep their campaign going. “We are trying hard to make it bigger and better every day. I got so emotional meeting Valerie Castile, and I can’t wait to keep this going. It’s crazy how big it went overnight. We were hoping for $5,000,” said Ronnie Erickson, a Psychology major. She brought her son, a middle school student, to meet the Castile family and see the positive impact of community giving.